That night when Liz had come back from a work trip… how had it led to this? She’d told her husband Connor she’d nearly slept with a guy — a guilty confession of sorts, a near miss, a mistake averted. But now? Now she sits at the bar, alone. When was the last time she’d dressed like this? When was the last time she’d sat alone at a bar, eyeing those around her, speculating, anticipating? Enjoying the thrill of a chase not yet begun? She still struggles to believe she’s here, doing this mad thing. Sitting at a bar in a singles resort, thousands of miles from home. Watching, speculating, anticipating. Wondering who might be the one to hit on her, and how she might respond. She’s breaking so many rules, so many conventions and taboos. It feels so wrong. And that, as much as anything else, makes it feel so very right. 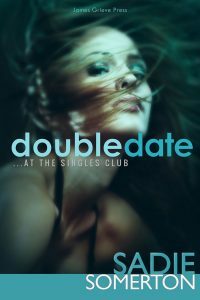 DOUBLE DATE: a steamy and explicit romantic novella about a couple’s first steps as they start to explore opening up their marriage, from the author of Swingers’ Party, The Other Couple, and Private Dancer.